After catching the Hogwarts Express from Platform 9 3/4 this morning, all Wizards and Muggles arrived safely at Hogwarts ,very excited to start the day. 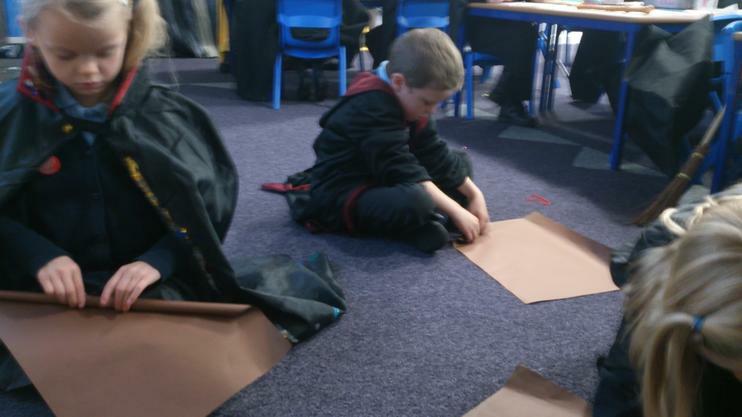 The first task was to be sorted by the sorting hat. It wasn't as painful as we thought! We put the sorting hat on, asked the big screen, "Which house will I be in" and then pressed the picture of the hat on the Ipad. This sorted us into the four houses, Hufflepuff, Ravenclaw, Gryffindor and Slytherin. After the house sorting, we went into the Great Hall where we were met by all the Professors and the other Hogwart's students. 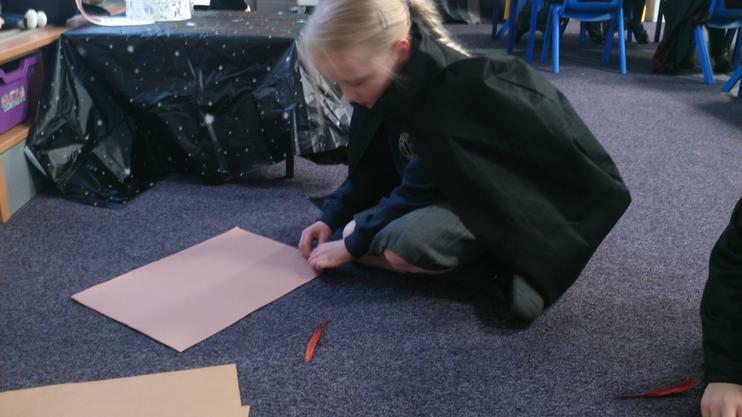 We found out a bit more about why we are having a Harry Potter week. It's a theme week taken from a book. 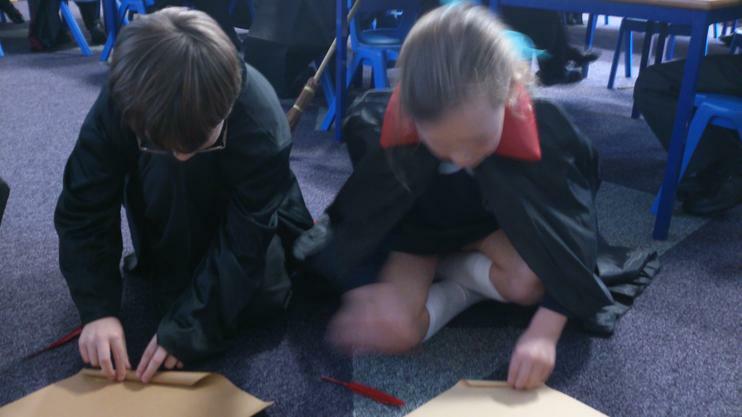 We all love reading at Hogwarts and it was a perfect opportunity as a school to get up to some magical mischief! First lesson was wand making! Remember, the wand chooses the wizard! We had 4 lots of 'wood' to choose from and 3 'cores'; unicorn hair, dragon heartstring and phoenix feather. We also went to the kitchen in the 'Leaky Cauldron' to make Hagrid's Pumpkin Soup...we hope you enjoy tasting it tonight! 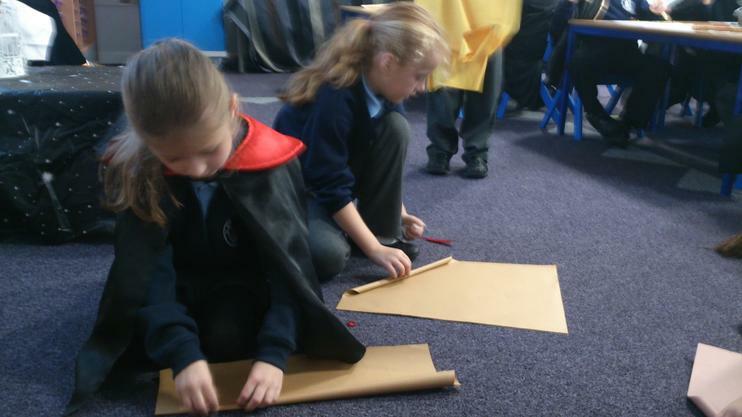 We have also created some fantastic WIZARD WANTED POSTERS. We definitely have some talented artists in Year 2! Then we designed and made a badge for the houses we were sorted into. Mrs Howley must have spent all weekend making a MAURAUDERS MAP for the children! The children have drawn themselves and then picked the name of a member of staff out of a hat and drew them onto small pieces of card. These characters are going to be used on the map this week along with the Beebots..which we are currently designing new robes for! Phew! What a busy day! 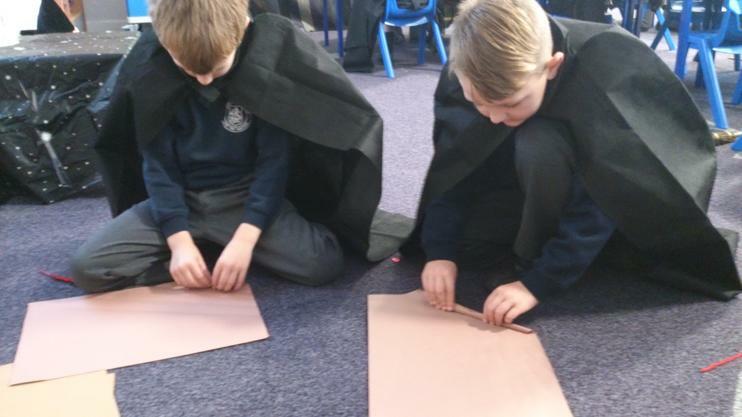 We have Day Day We have been using hundreds of Wizard Magnets to create a Wizard Poem. These are our poems. Kayleigh was interviewed by the 'Roving Reporters' in Year 6 to see what Year 2 have been up to this week. Mrs Howley has been using her magic this weekend to create a spectacular 'Maurauders Map'. 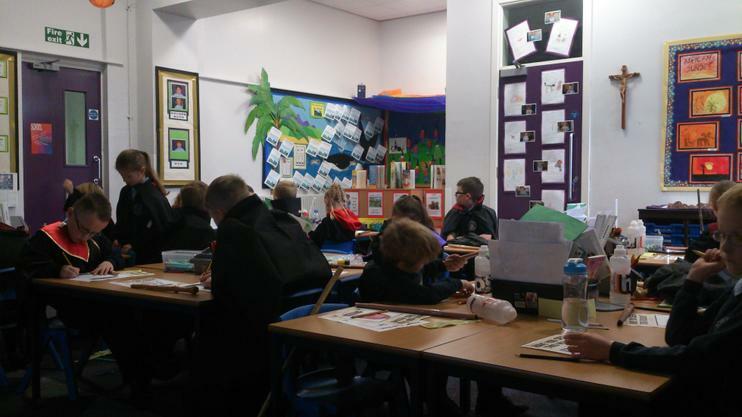 The children have busy drawing themselves and a member of staff to go on the map! 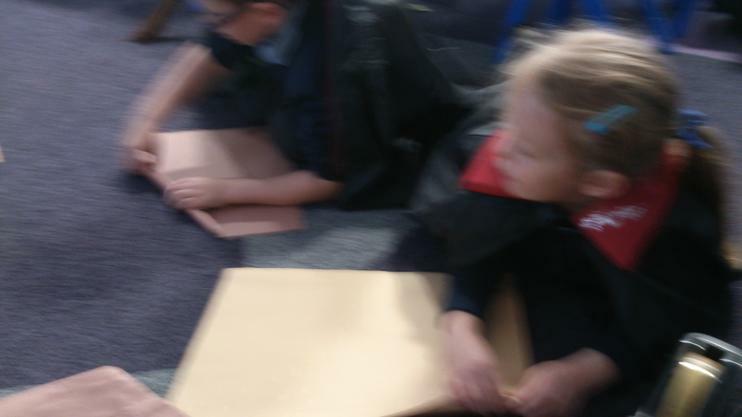 Using their magic powers, the children have managed to get their characters to move to the music. LOOK AT THE PHOTOS AND WATCH THE VIDEOS...IT'S MAGIC! 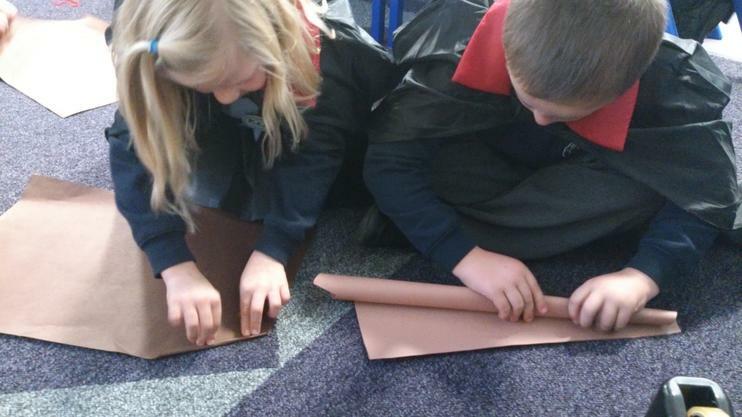 Mrs Bracken has also been very busy outside of school preparing exciting things for Year 2. She has baked lots of buns and has helped each child turn their bun...with a little bit of magic...into an OWL! They looked fantastic and tasted even better! The Triwizard Tournament was lots of fun. We all threw 3 quaffles into the Quidditch hoops, took part in a broomstick relay and had to throw and catch our way through the Forbidden Forest! Slytherin scored the most points and were the Triwizard Champions in Year 2. Our final lesson of the week was potions. We tried really hard not to blow the school up! We all wore our safety glasses, even Stanley! 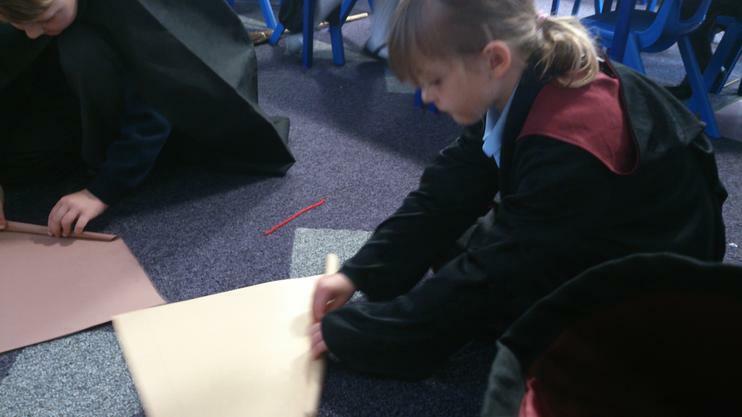 A special thank you to this weeks VIP, Evie, for taking most of the photos whilst Mrs Carlile continued to teach potions. And finally...our big sing in the Great Hall. This is a video of Year 2's part in the song. Can you hear Stanley singing?